Ruth S. Bergeson, 99, passed away April 18, 2018. Born February 25, 1919 in Rigby, Idaho, the 2nd of five children to Emerald Wycliffe Stout and Geneva Black. When Ruth was one year old, the family moved to Blackfoot, Idaho where Ruth spent her early childhood years. At the age of 10, the family moved to Salt Lake City so her father could attend the University of Utah. Ruth spent the remainder of her primary school years in Salt Lake until 1932, when the family relocated to Moab, Utah. There, Ruth attended 8th through 12th grade, graduating in 1937 from Grand County High School. She played the trumpet in the high school band and sang alto in a girls’ trio. She had a wonderful childhood enjoying all the adventures a young girl could hope for in a place like Moab. Swimming in the Colorado River, hiking, boating, ice skating and horseback riding in that beautiful countryside were among her favorite pastimes. Upon graduating from high school, Ruth went on to attend Brigham Young University. Influenced by her Father’s dedication to education, she majored in Elementary Education. 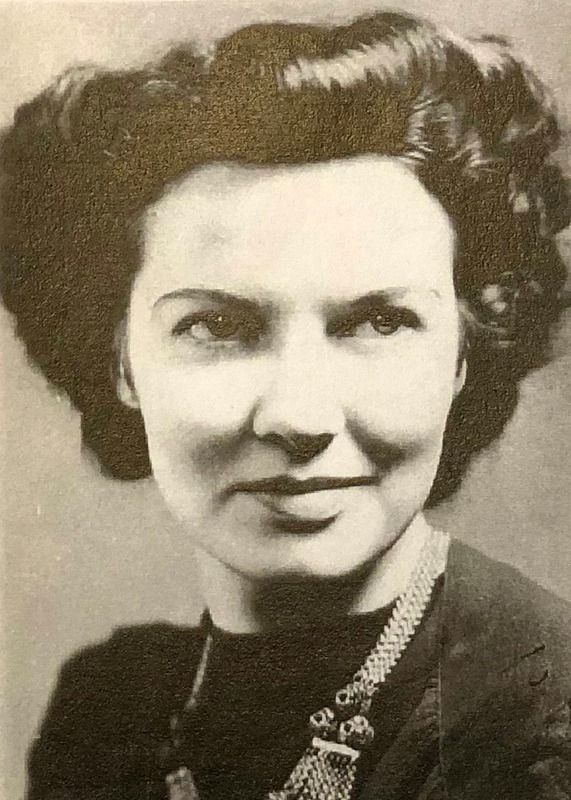 While at BYU, Ruth was voted “The Sweetheart of Delta Phi” by the student body of BYU. A song was written for this occasion to honor her – “Dream Girl of Delta Phi”. In 1941 Ruth left to serve a Spanish speaking LDS (Mormon) mission in Texas. Upon returning home from her mission, Ruth rekindled a childhood friendship with Alvin Berthel Bergeson, a boy she had played with as a child. They were married November 18, 1942 in the Salt Lake Temple. Three children were born to this union – Sharon, Betty, and James. The family lived in Groveland, Idaho (a small suburb of Blackfoot) until 1962 when they relocated to Mesa, Arizona, where Ruth remained until her death. Ruth taught in the junior high and elementary schools in Mesa, finishing up at Longfellow teaching 1st grade. She was an accomplished organist, teacher and leader, using her talents to serve in many Church capacities. Ruth was preceded in death by her parents; brothers, David Wycliffe Stout, Marvin Lowell Stout; sisters, Helen Beth Warner, Dorothy Mae Minkin, and Granddaughter, Lindsey Bergeson. She is survived by brother, Edward Dean Stout (Inez); son, James Alvin Bergeson (Linda Peterson), daughters, Sharon DeMordaunt (James), Betty Davis (Rick), 14 grandchildren, 41 great-grandchildren and 5 great-great grandchildren. Visitation will be Friday, April 27, 2018 from 6:00 p.m. to 8:00 p.m. at Bunkers Garden Chapel, 33 N Centennial Way, Mesa, AZ. Services will be Saturday, April 28, 2018 at 10:00 a.m. with a viewing 30 minutes prior at Bunkers Garden Chapel. Interment to follow at Mesa City Cemetery. We send the Bergeson family our warmest condolences and expressions of sorrow for the loss of your loved one Ruth. May the word of God and the good memories you shared bring you through this time with a future and a hope, Jeremiah 29:11. My sincerest condolences to the family. Please know that Jehovah God is close to the brokenhearted and He saves those who are crushed in spirit (Psalm 34:18). May the Bible’s promises provide you with comfort and strength during this most difficult time. Jim and Linda, I’m so sorry for your loss. I have enjoyed being Ruth’s home teacher for all these years. She was such a sweet and beautiful lady. She always pretended to remember me when I came by. I loved hearing her stories of her mission to Texas and how she and her husband met. I would always ask her about Sharon, Betty, their families, and Jim, Linda, and their kids. She loved talking about her children. She had so much love for her daughters, her son, and her grandkids… Not to mention her late husband. I will miss having her here on the earth. You two are such great examples of sacrifice, love, and devotion. Ruth was especially lucky to have a son who took such great care of her during her declining years, and to have a daughter-in-law who was so understanding and supportive. May the Lord comfort Ruth’s family during this difficult time. My prayers have been, and will continue to be with all of you.